One of our Solar Hackathon teams stayed up all night thinking about the sun … and then it dawned on them! This is just one of the many bright puns that went down at our recent Solar Hackathon at our Energy Centre in Newcastle. We invited cutting-edge software developers, designers and bright business minds to help promote solar energy in Australia and around the world. But hold up, what exactly is a hackathon? A hackathon event is where computer programmers, software developers, designers and project managers come together to collaborate on a particular software project. In most cases hackathons are either intended to educate or create usable software. For this hackathon, we gave each team a list of seven different solar tech-related challenges and asked them to tackle just one – these challenges ranged from identifying a low-cost cleaning solution for large numbers of tightly packed solar PV systems to heliostats; to creating a creative marketing campaign to increase public awareness of the benefits of solar energy. Hackers had less than a day to come up with a solution to their chosen challenge. The team then had to pitch their ideas to a prestigious judging panel – and the solutions created were phenomenal to say the least! Some of the winning and cutting-edge solutions created included incentivising smarter energy use through a competitive platform, a decentralised electricity market for developing countries, and funding for large solar schemes through smaller investors. A wealth of knowledge, experience and drive: our solar panel, oops, we mean, judging panel! The bright-minded hackers were fearless in their approach and tackled some of the biggest challenges we face for a better integrated energy future, including how this will impact everyday Australians, and industry. Some of the key considerations in producing the successful submissions included cost benefits, capturing quality energy data and managing the country’s current energy assets. 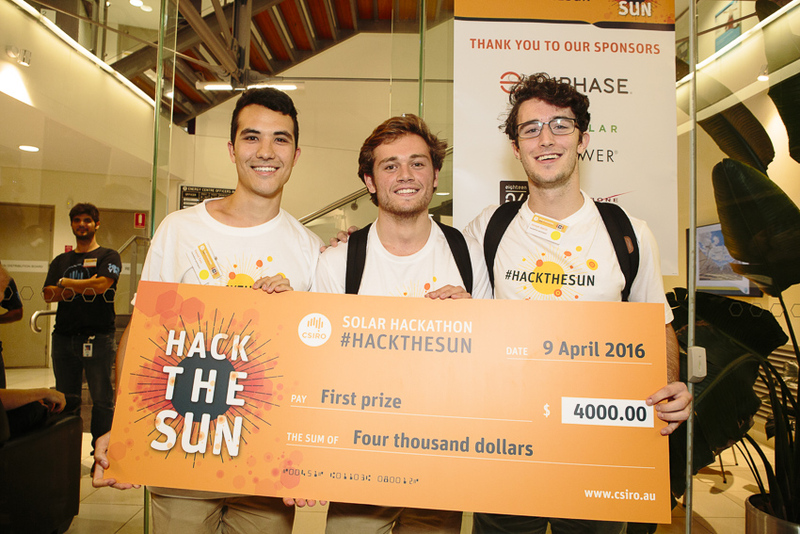 Our Energy Centre was the perfect backdrop for a hackathon about… you guessed it, solar! Grid2Go aren’t panicking just yet, with submissions due in less than 12 hours! Take Charge took out first prize for creating an engaging online tool to help consumers better understand their energy behaviour and participate in demand-side management. The online community platform ranks and educates the everyday Australian on how much and when they are using their energy, leveraging people’s competitive nature to encourage energy saving and the maximisation of solar usage. Sounds like a winner to us! The team of three students, Daniel Tam, Darcy Small and Joseph Harris, have a background as PV engineers so were excited to attend the hackathon to ‘build things and to innovate’. Other hackers’ backgrounds ranged from business development in the energy industry, an electrician working for the railways, to software developers, researchers and entrepreneurs. 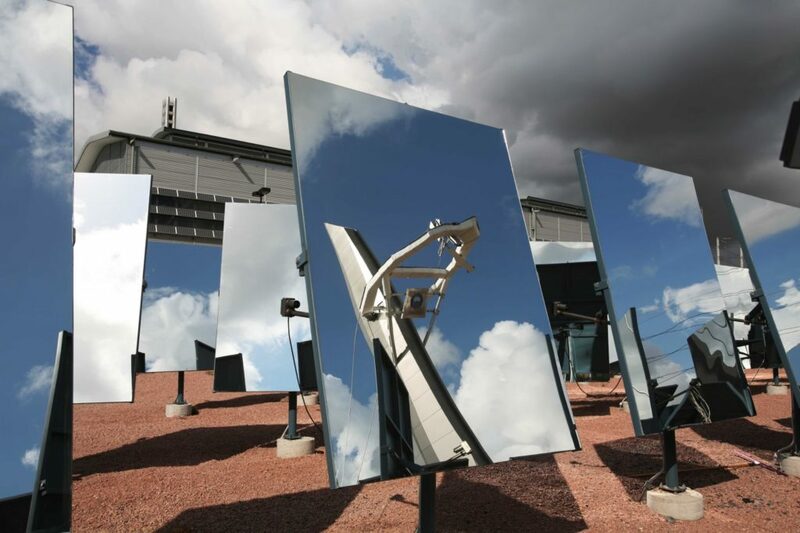 All of the inspiring action took place at our Energy Centre in Newcastle, with our solar research fields featuring our PV solar field and our Concentrating Solar Thermal Power field setting the scene, including 600 heliostat mirrors shining happily in the sun. Hackathon fever may be over, but the conversation doesn’t stop here. The solutions have the potential for real impact for the everyday energy user, and our aim is to transform the ideas created at the hackathon into real and successful business opportunities. The full list of winners and submissions can be viewed here. UPDATE: And here’s a great video we put together from the day! Prizes were kindly donated by our generous sponsors – Enphase Energy, HCB Solar & SunPower, Shinbone Networks, Eighteen04 and the Clean Energy Council. Well done to everyone involved and congratulations to the winners. What a great day it was! 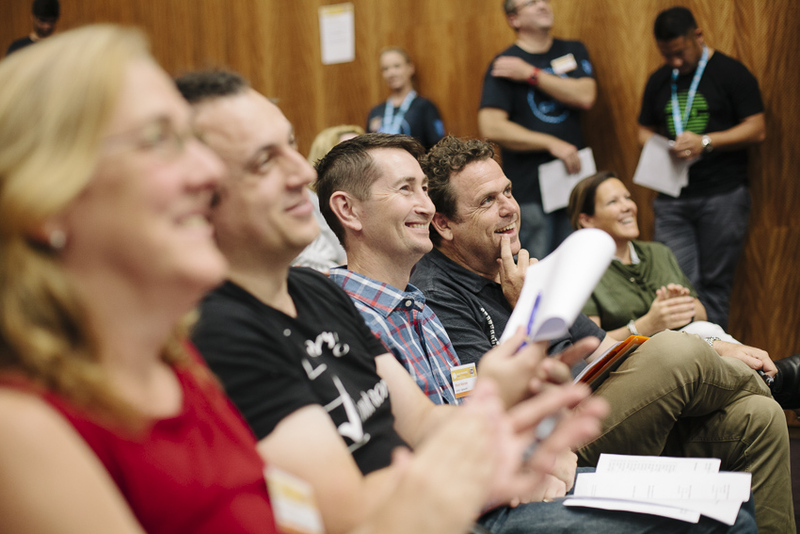 Thanks to CSIRO for putting on a brilliant event and congrats to all our hackers – go forth and build! 🙂 Enphase is thrilled to have been part of it all.